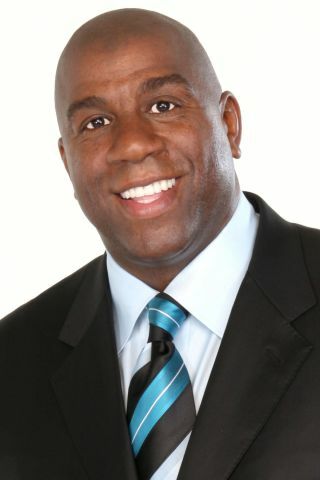 Tech & Learning magazine – along with key sports media -- had the unique opportunity to meet via videoconferencing with basketball legend Earvin “Magic” Johnson today to discuss his new partnership with Cisco. In addition to being a Hall of Fame basketball star, Mr. Johnson is a businessman and advocate for both urban growth and economic revitalization through his work with the Magic Johnson Foundation. Mr. Johnson announced today that The Foundation will be working with Cisco to help extend distance learning, remote seminars and fundraising to Johnson’s 18 Community Empowerment Centers Located in urban areas throughout the country. The program will allow both inner-city youth and adults to be part of remote learning programs, such as digital design and computer hardware, to help communities excel in areas their other schooling or workplaces do not provide. Johnson stated that his centers have already served more than 300,000 young people, and some centers have seen test scores improve by as much as 75%. Plans for the WebEx programs will include peer-to-peer mentoring, digital storytelling, robotics, and Web design. The 18 center directors already implement monthly resource and information sharing via Web conferences. Classes are planned to launch the first quarter of 2011, where students will be able to use the technology to work on global collaborative projects.